Garden City, New York, USA. December 6, 2013. 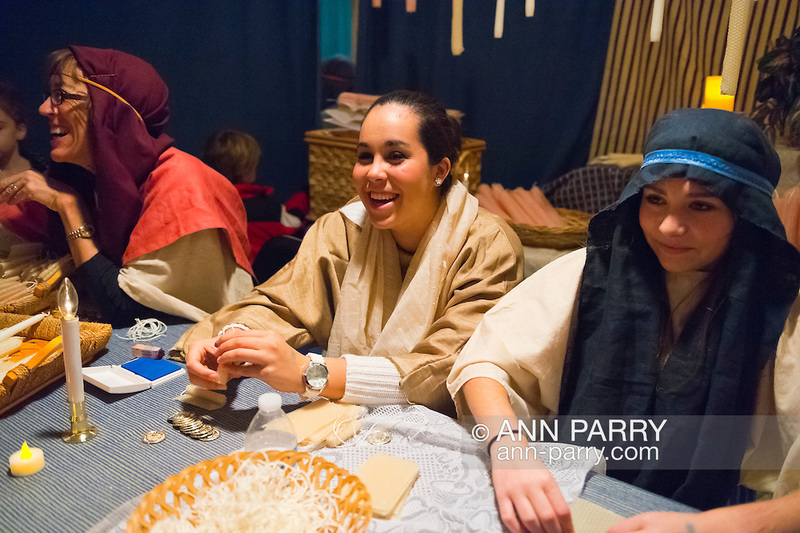 At A Night in Bethlehem, visitors experience what it might have been like the night Jesus was born. Families visit different shops and participate in projects. Finally the children and adults experience the nativity scene at the manger, with Mary, Joseph, and baby Jesus, on the first Christmas. This free annual Advent event is December 6, 7, and 8, at the Lutheran Church of the Resurrection, on Long Island.